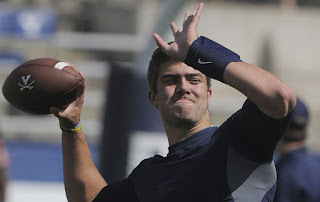 Georgia names Greyson Lambert as starting QB for 2015 season opener. Greyson Lambert. Image via ajc.com. You can now scratch Georgia off the list of unresolved quarterback competitions. Bulldog head coach Mark Richt has named Greyson Lambert as the starting QB for the team's season opener against Louisiana-Monroe on Saturday. UCLA cornerback Ishmael Adams arrested, accused of cell phone theft. Ishmael Adams. Image via The Ventura County Star. 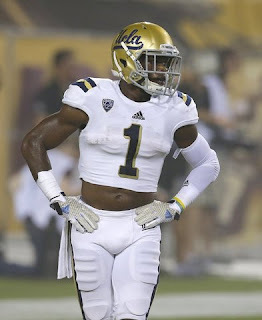 An UCLA player is in trouble with the law five days before the Bruins' college football season against Virginia. Starting cornerback Ishmael Adams has been arrested on charges of armed robbery. Les Miles visits hospital for "precautionary" reasons. 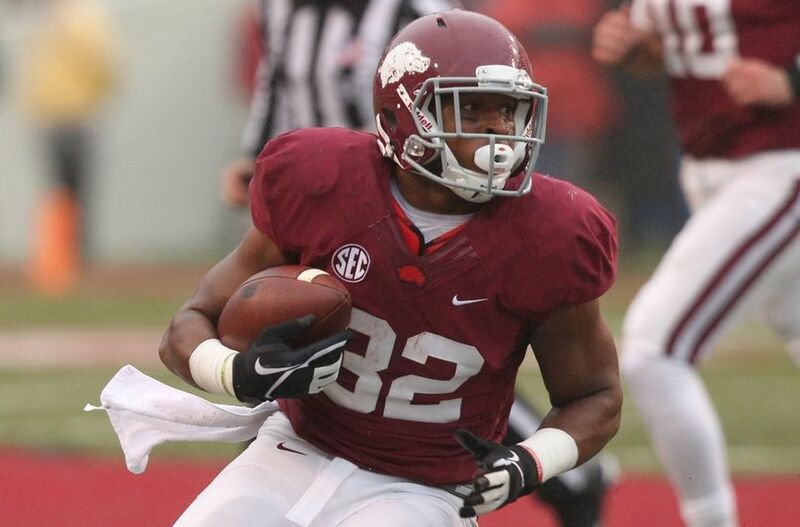 SEC Fallout: Nick Chubb, Jeremy Johnson, Alabama QB controversy, and more. Welcome to the Fallout - SEC edition. 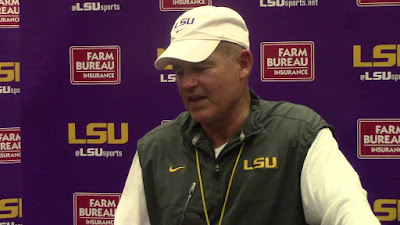 The Fallout: Les Miles, Kevin Sumlin, Tim Beckman, and more. 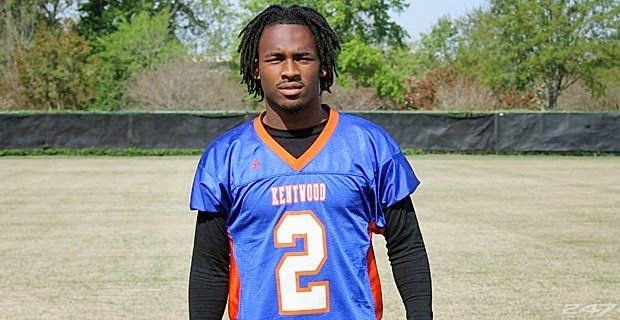 Texas A&M adds three-star RB prospect Rakeem Boyd to its 2016 recruiting class. Rakeem Boyd. 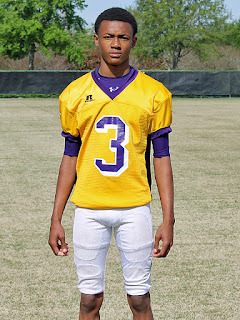 Image via varsitypreps.com. Texas A&M has added the 14th member to its 2016 recruiting class. Houston, Tx. high school senior running back Rakeem Boyd committed to the Aggies on Saturday. 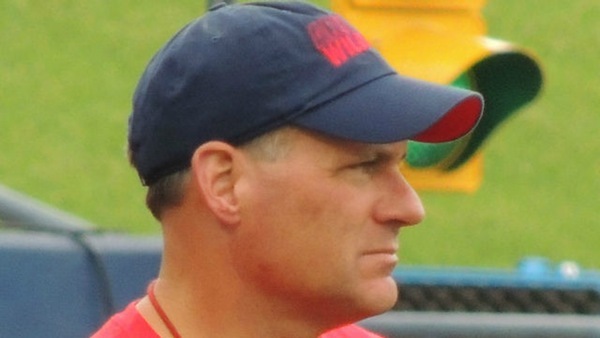 Illinois fires head coach Tim Beckham one week before 2015 season opener. Tim Beckham. Image via PennLive.com. 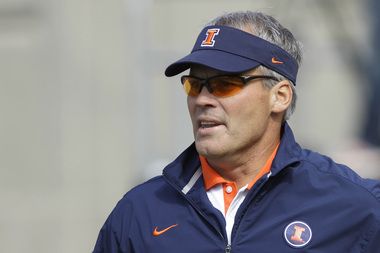 Illinois has fired head football coach Tim Beckman. The move comes a week before the Fighting Illini's Sept. 4 season opener against Kent State. Buckeye fan produces hype video for Ohio State-Virginia Tech rematch. Ready for a hype video? Ohio State fan Thomas Rupp has produced a hype video for the Buckeyes' season opening road game against the only team to defeat them last season, Virginia Tech. Texas A&M CB Tavares Garner transferes to FCS program Henderson State. 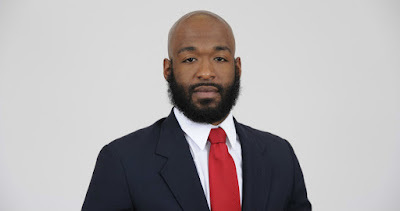 Tavares Garner. Image via Good Bull Hunting. 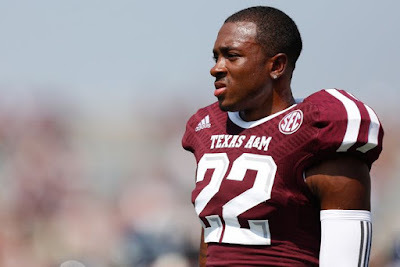 From the "He's Just Not That Into You" department comes news that Texas A&M cornerback Tavares Garner has transferred to FCS division Henderson State. 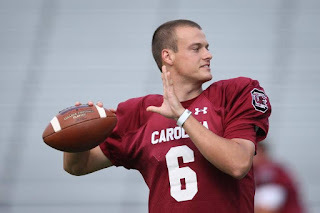 South Carolina names Connor Mitch as starting QB for season opener. Connor Mitch. Image via The State. Another starting quarterback competition has bitten the dust. South Carolina head coach Steve Spurrier has named sophomore Connor Mitch as the Gamecocks' starting QB for its season opener against North Carolina on Sept. 3. Auburn fan creates "Don't Blink" 2015 season hype video. From the "Everybody Else Is Doing It, So Why Can't We?" department comes this fan-created Auburn hype video for the upcoming 2015 Tiger college football season, titled "Don't Blink." Tennessee adds four-star WR prospect Tee Higgins to its 2017 recruiting class. Tee Higgins. Imgage via 247Sports. 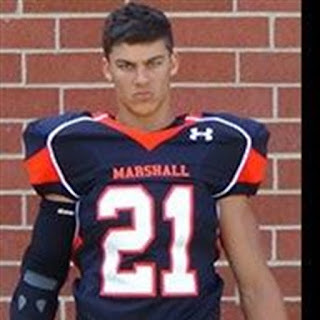 Tennessee has added the second member of its 2017 recruiting class in as many days. Oak Ridge, Tn. high school junior wide receiver Tee Higgins committed to the Volunteers on Monday. Bo Graham. Img via thesundevils.com. Bo Graham has resigned his job as Arizona State running backs coach. The move comes just two weeks before the Sun Devils' season opener against Texas A&M. Texas A&M picks Kyle Allen as starting QB to open 2015 season. Kyle Allen. Image via Dallas Morning News. It looks as though the competition for starting quarterback at Texas A&M is over. Head coach Kevin Sumlin has announced that Aggies have decided to stick with Kyle Allen as the team's starting quarterback to open the 2015 college football season. Tennessee adds five-star QB prospect Hunter Johnson to its 2017 recruiting class. Hunter Johnson. Image via indystar.com. Tennessee has added a big time prospect to its 2017 recruiting class. Brownsburg, In. 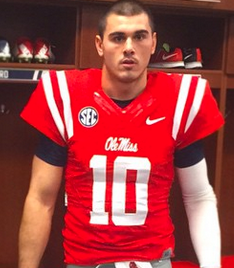 high school junior quarterback Hunter Johnson committed to the Volunteers on Sunday. 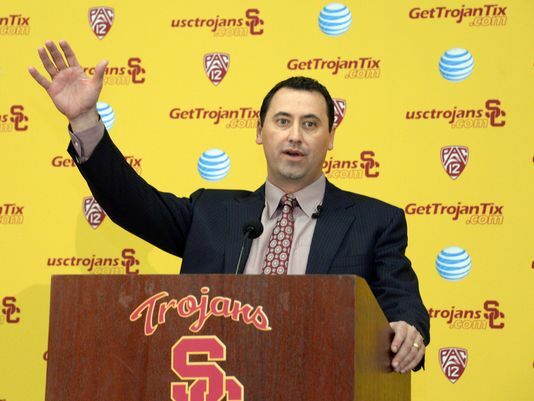 USC head coach Steve Sarkisian apologizes for drunken appearance as school event. Steve Sarkisian. Image via USA Today. Steve Sarkisian has apologized for embarrassing USC in a way Lane Kiffin never did. The Trojans' head coach reportedly appeared drunk and used inappropriate language at the school's "Salute toTroy" event on Saturday night, and used. Georgia releases "Origins" video featuring Nick Chubb, and legendary Uga V clip. Uga V and Robert Baker. Img via The Athens Banner Herald. Another day, another Georgia hype video. This one, titled "Origins" goes from microscopic to astronomical scales, with images of Bulldog Nick Chubb, offensive tackle John Theus, Stanford Stadium, and the infamous moment from the 1996 Georgia-Auburn game, where Uga V almost took a bite out of Auburn wide receiver Robert Baker. Georgia has a new hype video out. This one, titled "Dreams," goes with the highlights/motivational speech/dramatic music model. Georgia assistant coach suspended following DUI arrest. Courtney Coard. Image via The Atlanta Journal-Constitution. We have our first Georgia-related arrest in a long time. The even more embarrassing part for Bulldog head coach Mark Richt is that it involves a graduate assistant on his coaching staff. 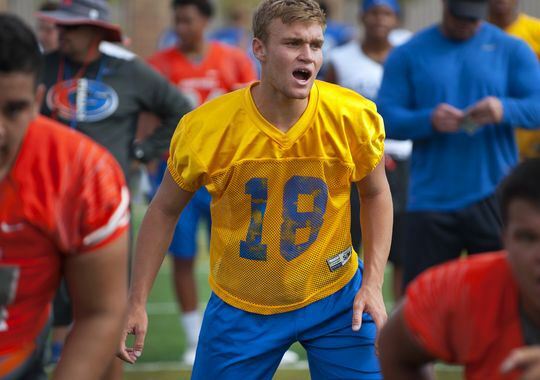 Texas A&M adds five-star QB Tate Martell to its 2017 recruiting class. Tate Martell. Image via USA Today. Texas A&M has added a huge piece to its 2017 recruiting class. Las Vegas, Nv. high school junior quarterback Tate Martell committed to the Aggies on Thursday. Been dealing with a twisted elbow today. I think I have both tennis elbow AND golfer's elbow now. Not good be back tomorrow. 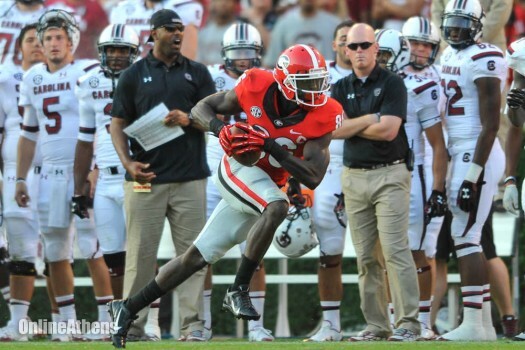 SEC Fallout: Les Miles, Nick Chubb, Steve Spurrier, and more. Georgia WR Justin Scott-Wesley suffers third right knee injury in practice. Justin Scott-Wesley. Image via the Athens Banner-Herald. Bad got some bad news on Monday as wide receiver Justin Scott-Wesley suffered a right knee injury during practice. 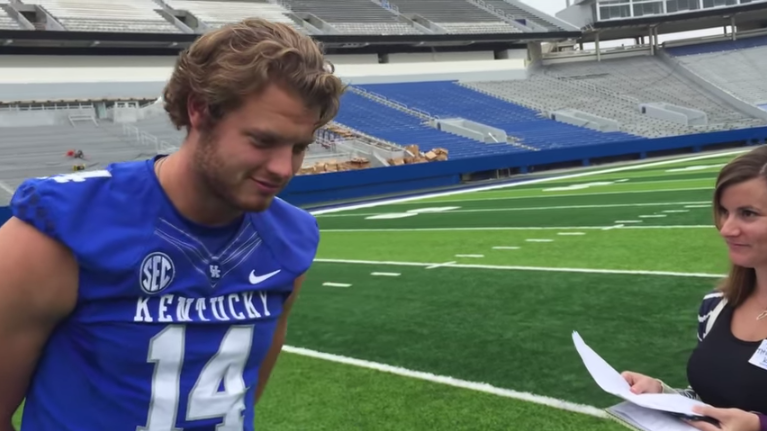 Kentucky announces Patrick Towles will continue as starting QB. Patrick Towles. Img via @MsTylerKSR. 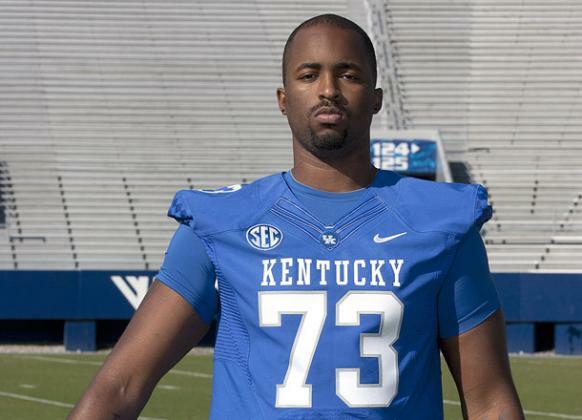 There's one less quarterback competition in college football. Kentucky head coach Mark Stoops has announced that Patrick Towles will continue as the starting QB for the Wildcats. 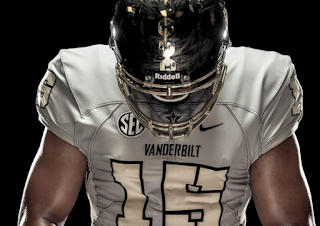 Vanderbilt reveals "Deep Water" alternative unis for 2015. Image via Saturday Down South. 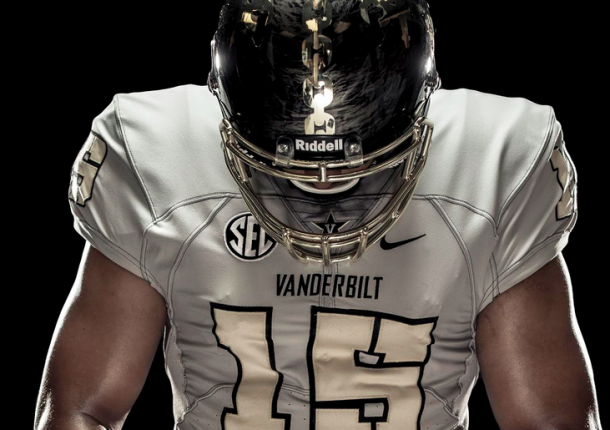 Vanderbilt has revealed the newest terror from the depraved minds of Nike. This time, Uncle Phil's Misguided Children have searched the depths of their creativity and dredged up an alternative uniform they call "Deep Water." 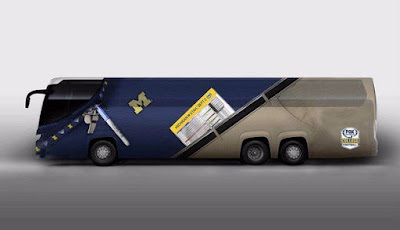 FOX Sports unveils Jim Harbaugh-themed bus, complete with khakis. Well, here's your awkwardly disturbing new item of the day. FOX Sports has unveiled the "Harbus" - a full-sized bus with a paint scheme inspired by Michigan head coach Jim Harbaugh. Yes, it's a maize, blue, and khaki bus. From the "Why do you insist on saying things I can never unhear?" dept. comes this video from an alleged rapper/lawyer named "Lawyer Mike" rapping about his love the team of his alma mater, the Florida Gators. There really isn't very much more you can say about this. Except to tell me to put down the ice pick I'm about to stick through my eardrums. Samantha Ponder is an ex-sideline reporter for ESPN Thursday Night Football. Samantha Ponder. Image via ESPN MediaZone. The changes in the ESPN college football coverage landscape continue to roll on. Samantha Ponder has announced via Instagram that she will be stepping down from her duties as a sideline reporter during the WWL's Thursday Night Football coverage. 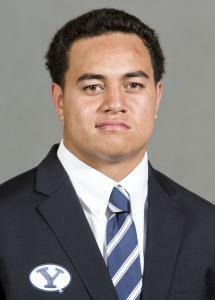 BYU LB Sione Takitaki faces two charges of misdemeanor theft of items from school's field house. Sione Takitaki. Image via byucougars.com. This just in from the "Kleptomania Runs Wild!" department: BYU linebacker Sione Takitaki is facing charges of misdemeanor theft for taking school soccer and track team apparel that didn't belong to him. 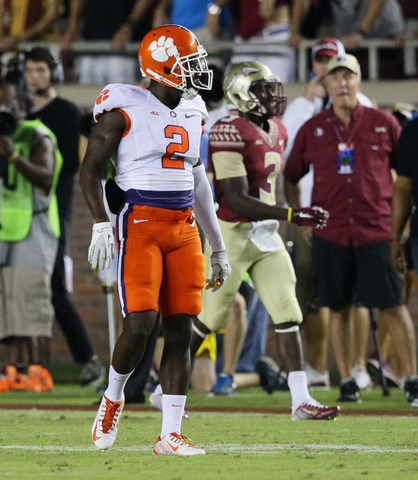 Clemson CB Mackensie Alexander proclaims himself the "best corner in college." Mackensie Alexander. Img via independentmail.com. From the "Egomania goes wild" dept. comes this proclamation from Clemson cornerback Mackensie Alexander that he's the "best corner in college." 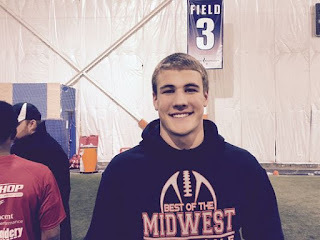 Minnesota adds three-star WR prospect Drew Hmielewski to its 2016 recruiting class. Drew Hmielewski. Imgage via hudi.com. Minnesota has added a fifteenth member to its 2015 recruiting class. Marshall, Mn. high school senior wide receiver Drew Hmielewski committed to the Golden Gophers on Tuesday. Big Ten Fallout: Christian Hackenberg, Braxton Miller, Tim Beck, and more. 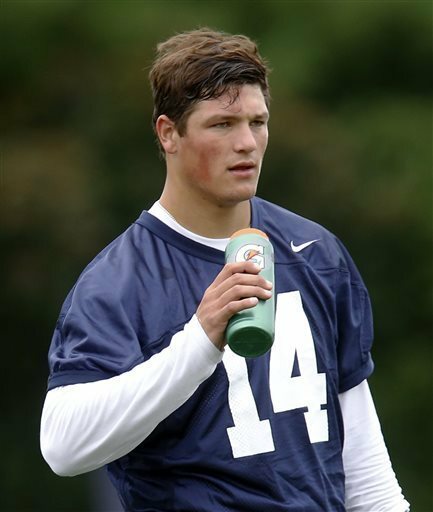 Christian Hackenberg. Img. via kentucky.com. J.T. Barrett still hasn't gotten over Ohio St. loss to Virginia Tech last season. J.T. Barrett in Sept. 17 Virginia Tech-Ohio St. game. Via CBS Cleveland. From the "Stuck in a Moment You Can't Get Out Of" department comes this confession from Ohio State quarterback J.T. Barrett, who admits that he still hasn't quite gotten over the Buckeye's only loss last season, which came at the hands of Virginia Tech. Ohio State releases video from first day of fall practice. Braxton Miller. Image via ohiostatebuckeyes.com. 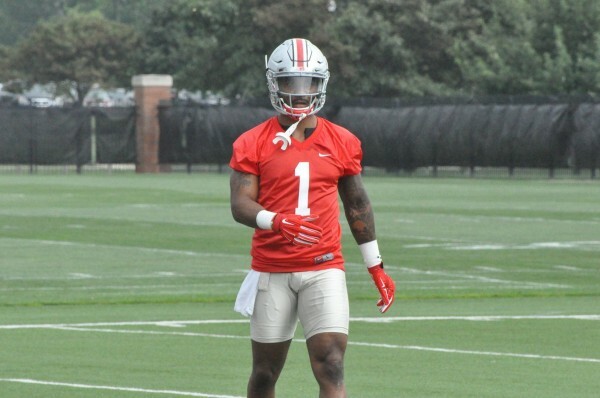 Want to see how Ohio State's first day of fall practice went? Well, you're in luck. The Buckeyes have released a video documenting the first day of fall camp. 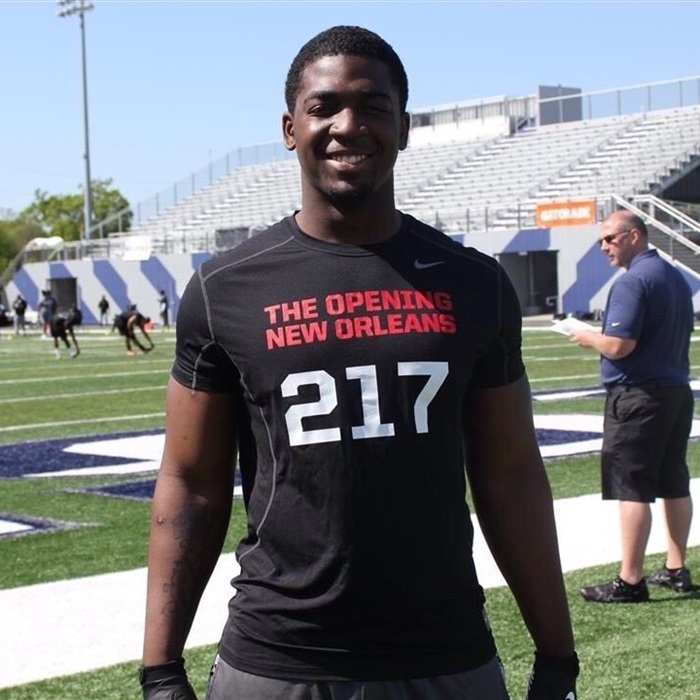 Oklahoma adds three-star OLB Pernell Jefferson to its 2016 recruiting class. Pernell Jefferson. Image via Hudi.com. Oklahoma has added a tenth commitment to its 2016 recruiting class. New Orleans, La. high school senior outside linebacker Pernell Jefferson announced his commitment to the Sooners via Twitter on Monday. 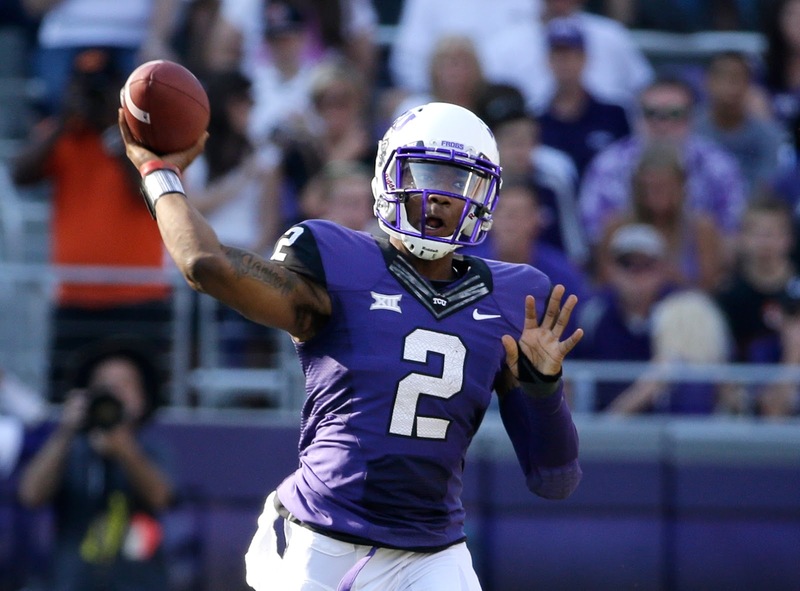 Big 12 fallout: Trevone Boykin, Karl Joseph, Bob Stoops, and more. Trevone Boykin. Image via Dallas Morning News. Georgia adds four-star ATH prospect Devonta Smith to its 2017 recruiting class. Devonta Smith. Img via 247Sports. Georgia has added a third commitment to its 2017 recruiting class. Amit, La. high school junior wide receiver and cornerback Devonta Smith committed to the Bulldogs on Monday. LSU is the latest school to release a hype video for the 2015 college football season. It's pretty much a straight-forward video with highlights of the 2014 season, going with drum-filled dramatic music. 2015 LSU Football Season Trailer from LSU Football on Vimeo. Four-star CB prospect Shyheim Carter decommitts from Alabama. Shyheim Carter. 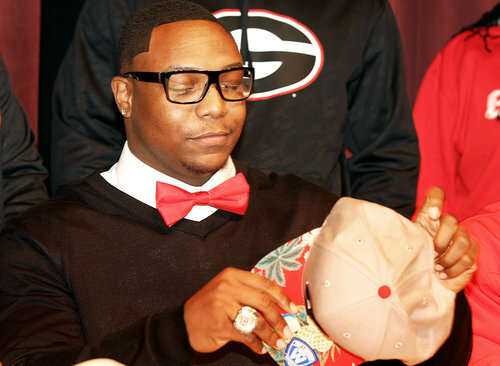 Image via 247Sports. More news from the "He's Just Not That Into You" department. Kentwood, La. high school senior defensive back Shyheim Carter has decommitted from Alabama. Carter had originally committed to the Crimson Tide in July of 2014. 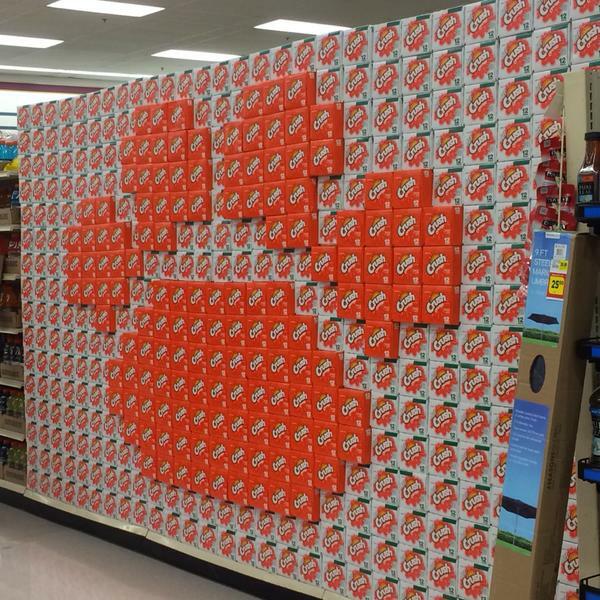 South Carolina grocery store creates Clemson tiger paw print out of Crush orange soda 12-packs. It's beginning to look a lot like college football season everywhere you go. 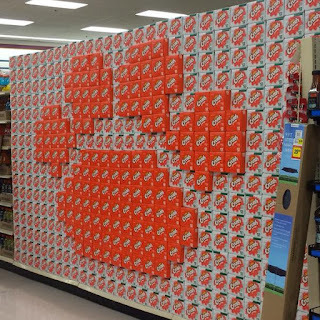 A Bi-Lo reportedly somewhere in South Carolina has constructed a store display featuring a Clemson tiger paw made from Crush orange soda 12-packs. Detric Bing-Dukes is an ex-Georgia Bulldog, will transfer to another school. Detric Bing-Dukes. Img. via Field Street Forum. Detric Bing-Dukes is an ex-Dawg. The redshirt freshman linebacker has announced that he is leaving the Georgia football program, and will transferring to another school. 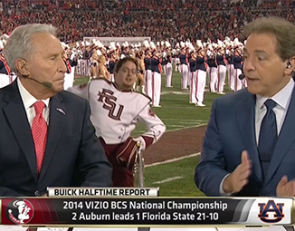 Nick Saban celebrates Lee Corso's 80th birthday by donning Big Al's mascot head. So you say Alabama head coach Nick Saban is above foolishness like emulating ESPN analyst Lee Corso by emulating the 80-year old birthday boy's infamous mascot head-wearing routine with Big Al's head? Alabama unveils hype video for upcoming 2015 season. Ready for an Alabama hype video? Of course you are. The season preview hype video for the 2015 college football season, titled "The Process Begins Now," goes with the old chestnut of combining footage of 'Bama's 2014 season with overly dramatic music and the voice of legendary Crimson Tide announcer Eli Gold. SEC Fallout: Nick Saban, Derek Mason, Ole Miss, and more. Kind of busy today. Will hopefully put something up tonight. Big Ten Fallout: Jim Harbaugh, Mark Dantonio, Jack Conklin, and...Bret Bielema? 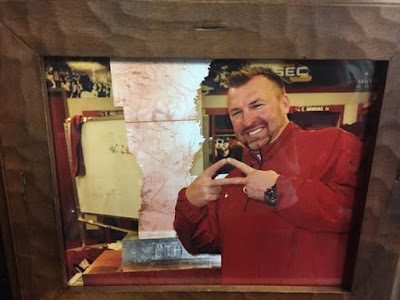 Bret Bielema? What's he doing here? 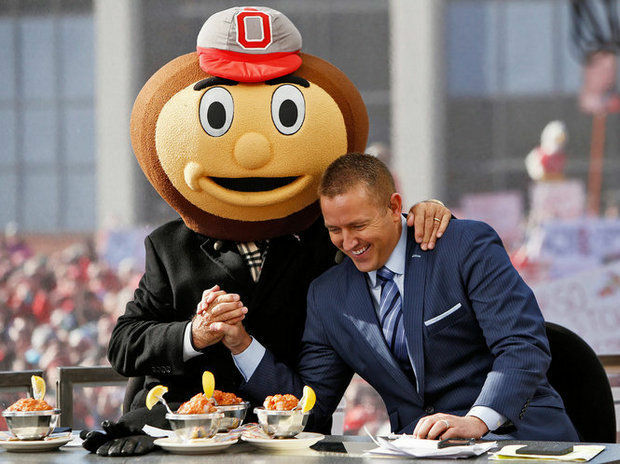 ESPN to air special edition of College GameDay before Ohio St.-Virginia Tech game, but without Herbstreit and Corso. Sorry, Blacksburg, no Corso or Herbie. Img. via mLive.com. Attention. Blacksburg, Va.: ESPN College GameDay will be comin' to your cit-tay! The WWL will be broadcasting a special one-hour edition of its flagship college football program from Blacksburg before the Week 1 Ohio State-Virginia Tech game on Sept. 7. No. 1 prospect for 2017 Dylan Moses decommits from LSU. Dylan Moses. Img. via atlantablackstar.com. From the "He's Just Not That Into You" dept. 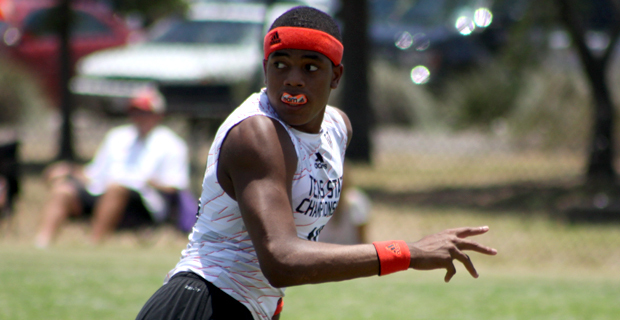 comes word that the top prospect for 2017 has backed out of his commitment from LSU. Baton Rouge, La. 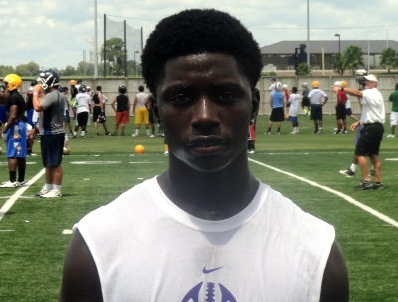 junior outside linebacker Dylan Moses announced his decommitment from LSU's recruiting class of 2017 on Monday. Georgia's "Football Season Preview 2015" hype video features music from Skylar Grey and Florence + The Machine. Scene from Georgia "Football Season 2015 Preview." Ready for another hype video? Georgia has just dropped its "Football Season Preview 2015" hype video onto the Internet. It thankfully skips the usual cliched overdramatic Inception-inspired symphonic music or the hot hip-hop song de jour, and starts out instead with Sklyar Grey's sultry version of "Addicted to Love," closing out with Florence + The Machine's "What Kind of Man." Nebraska head coach Mike Riley would accept internet-spawned Nebraska-Minnesota rivalry trophy if the Huskers beat the Golden Gophers this season. 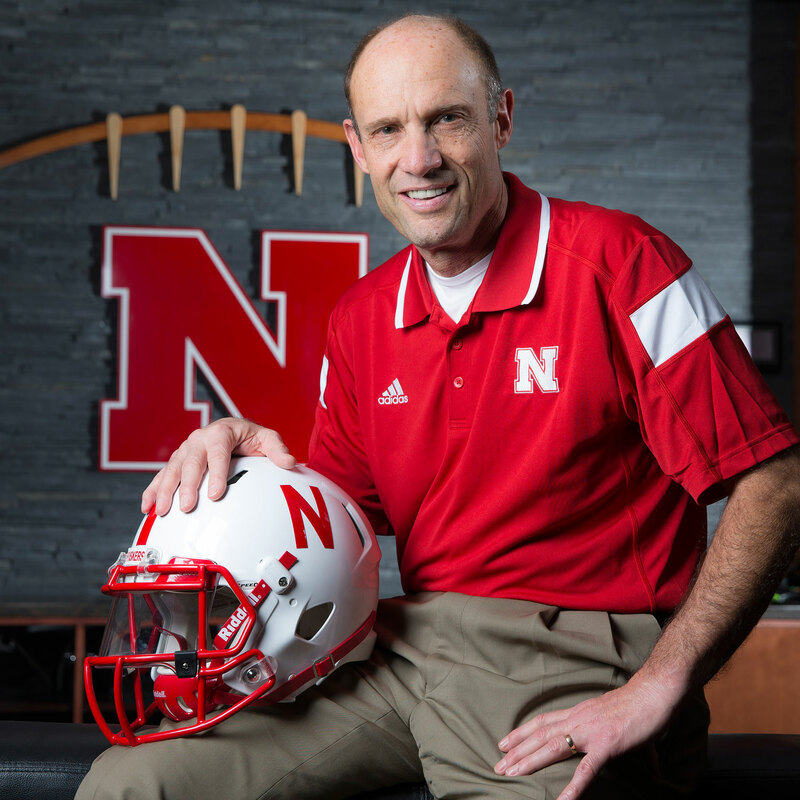 Mike Riley. Image via Breakdown Sports. The "$5 or Bits Broken Chair Trophy" is an Internet joke forged into twisted reality that was spawned via a Twitter conversation between Minnesota Golden Gophers mascot Goldie the Gopher and Twitter legend Faux Pelini. 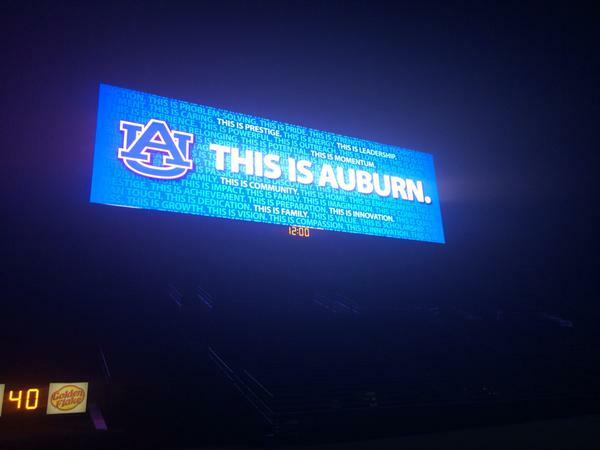 Auburn's Jordan-Hare Stadium record-breaking video board activated for first time. Jordan-Hare Stadium video board at night. 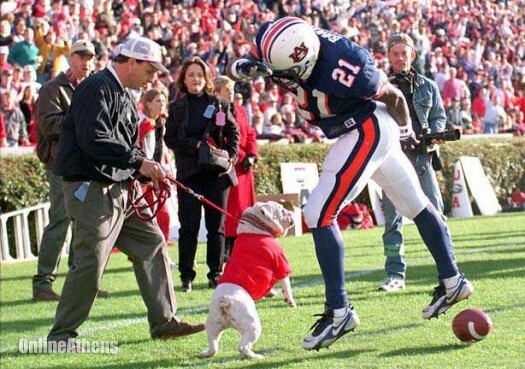 Via @AuburnTigers. Auburn turned on Jordan-Hare Stadium's newly-constructed video board on Friday. Naturally, the school shared the occasion with the Internet via a time-lapse YouTube video. 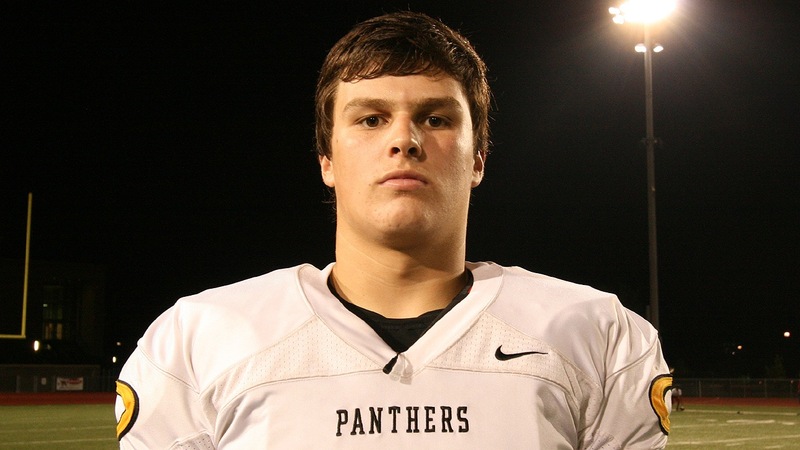 Oklahoma St. adds three-star OT Ryan McCollum to its 2016 recruiting class. 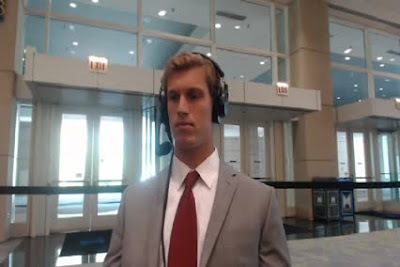 Ryan McCollum. Image via Scout.com. Oklahoma State has added a 12th member to its 2016 recruiting class. Spring, Tx. high school senior offensive tackle Ryan McCollum announced his commitment to the Cowboys on Sunday via Twitter.